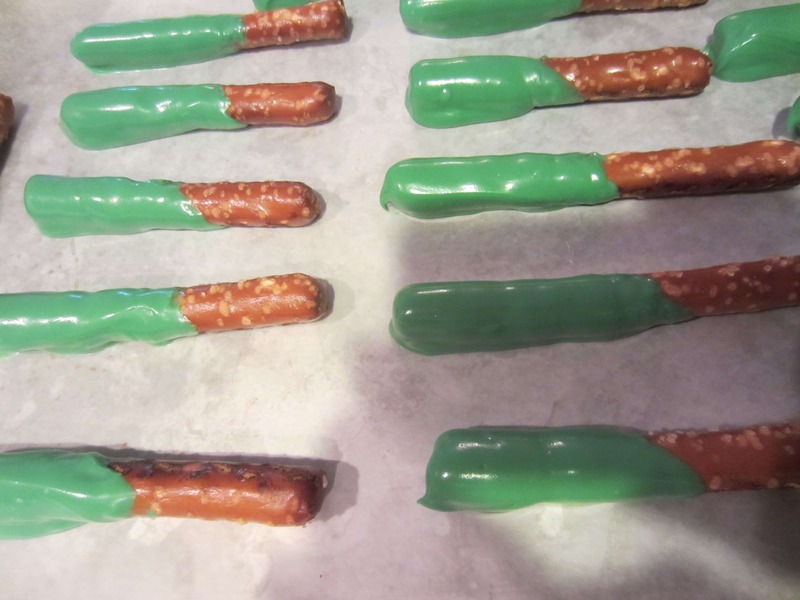 This chocolate pretzel recipe doubles as a great Halloween dessert and as DIY Halloween props. 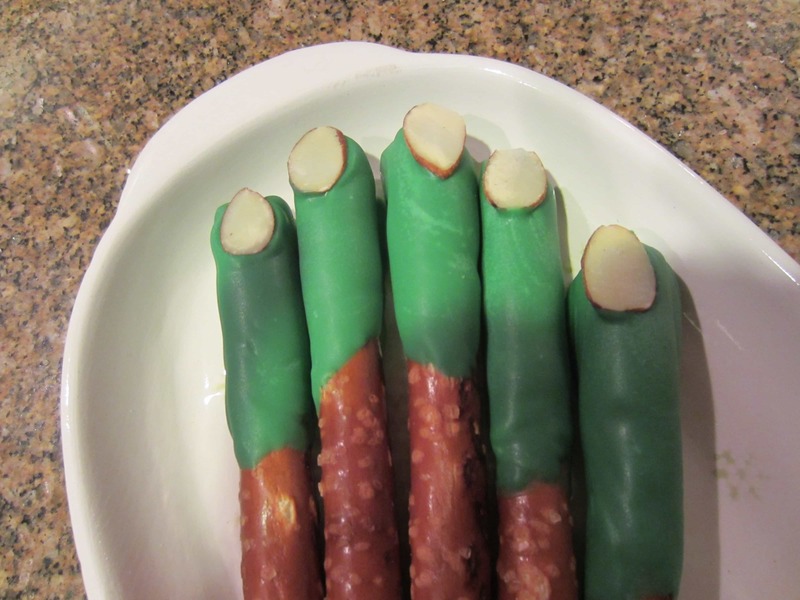 It definitely gives a new meaning to “finger food”. 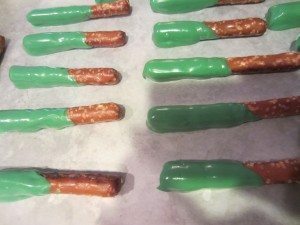 These chocolate dipped pretzels are SUPER easy and quick to make. 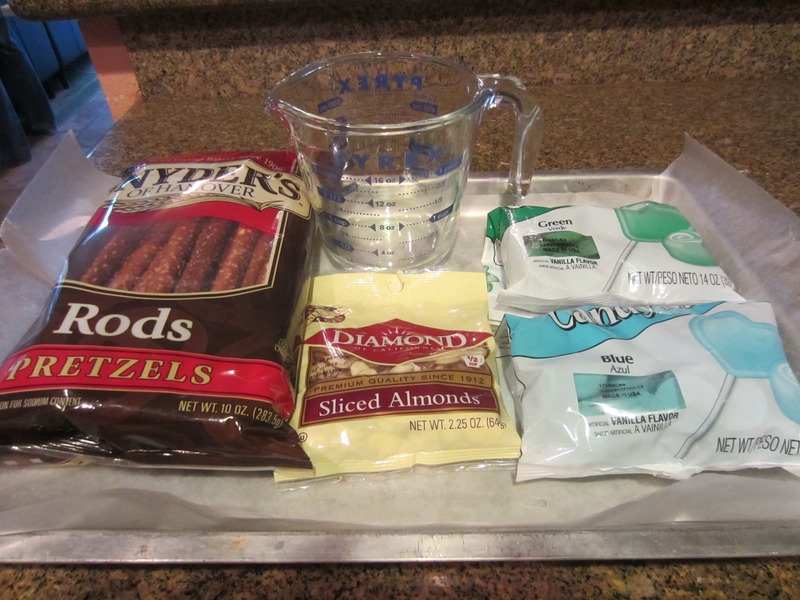 Step One: Line a cookie sheet with wax paper or parchment paper. Step Two: Follow the candy/melting instructions on the bag. I like to melt the candy in a glass measuring cup in the microwave at defrost setting in thirty second increments. 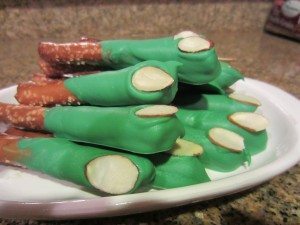 Use a spooky color like green or blue to make it look like monster fingers. Step Three: When candy/chocolate is melted, consider adding vegetable oil to thin out the candy. 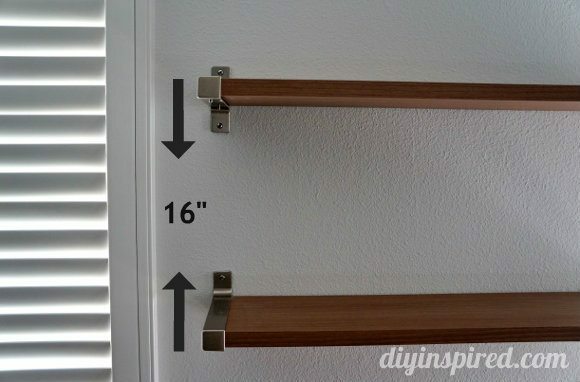 Add a little at a time until you reach the desired thickness. The vegetable oil will not alter the taste. 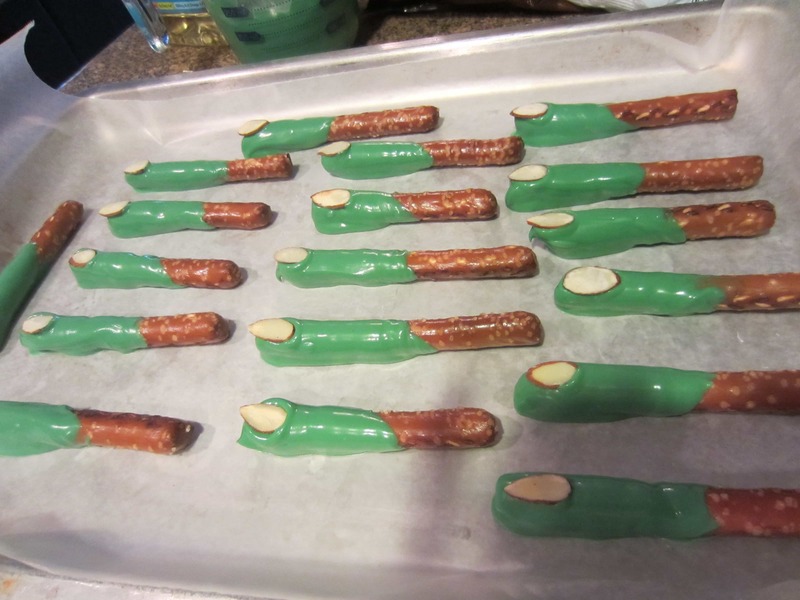 Step Four: Break the pretzel rods in half and dip the broken side into your mixture. 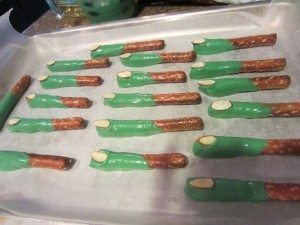 Carefully lay them in a neat row onto the lined cookie sheet. Step Five: Gently lay a sliced almond sliver onto the edge of the dipped pretzel to make it look like a finger nail. 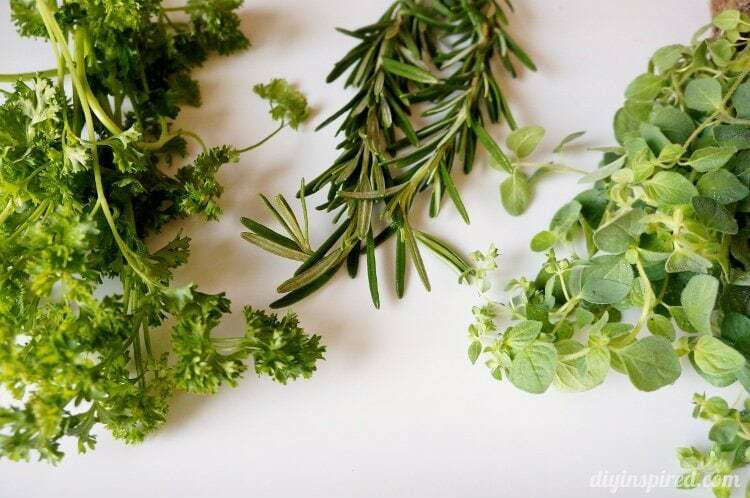 Step Six: Refrigerate until you are ready to serve! This finger food will be a favorite at your next Halloween party! Click here for a complete step by step tutorial for candy dipped fortune cookies! 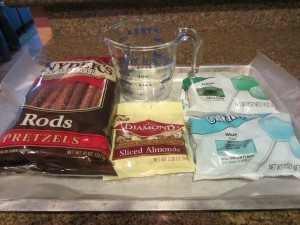 Love these pretzels! 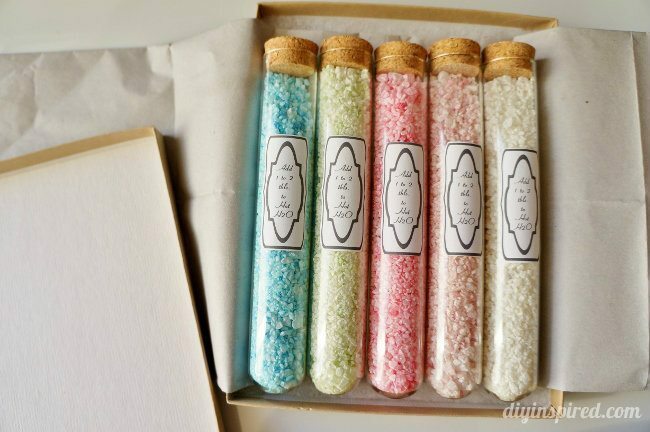 Going to make them for my kids for sure! Thanks! So Simple and tasty! Very cute!